👍 98.29% of buyers said they were satisfied. The Magnetic Absorption Tempered Phone Case is not just an ordinary phone case that you can buy elsewhere. Ordinary phone case can protect the corners and back of your phone but leaves the front screen vulnerable to damage during accidental drops and bumps. 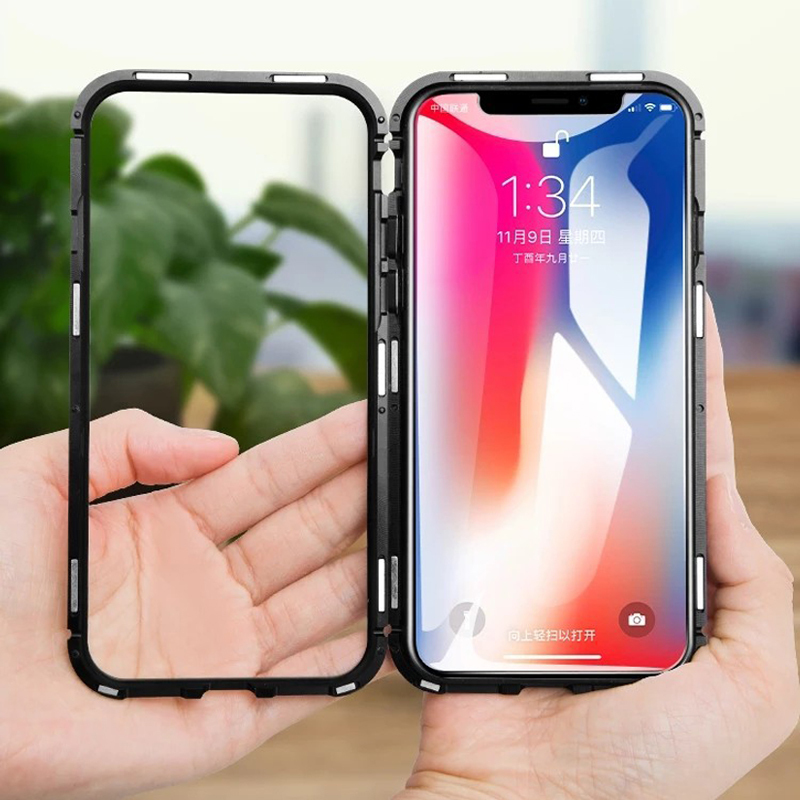 This phone case is meant to protect your whole smartphone from front to back without sacrificing its natural beauty because of its transparent design. It is made from Grade A aluminum with rubber lining to reduce shock and damage from accidental drops. 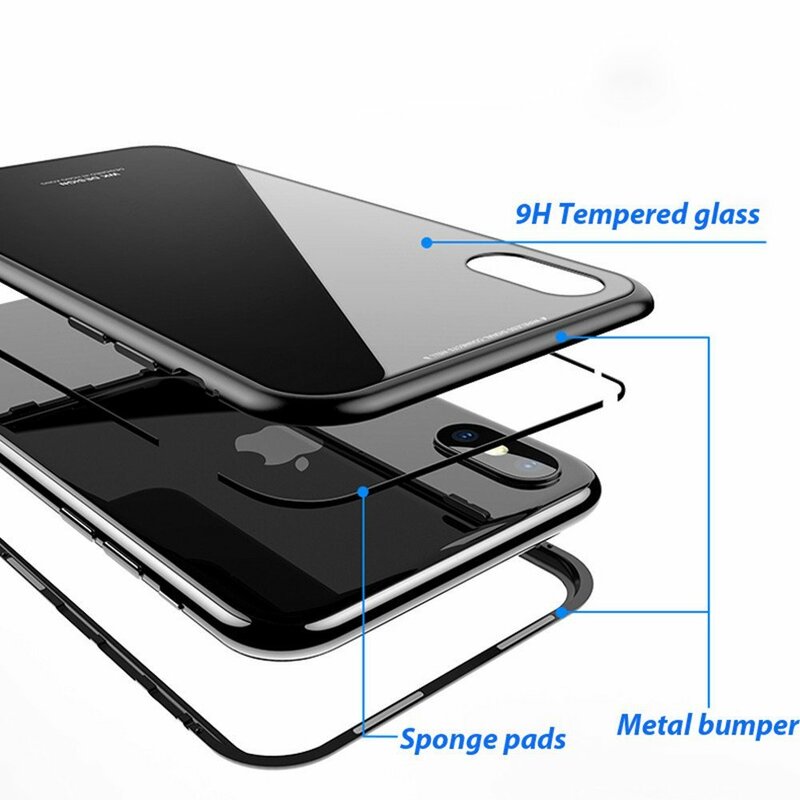 The back surface features a super strong 9H Tempered Glass leaving the phone case unscratchable on everyday use. With the Magnetic Absorption Tempered Phone Case, your phone will surely be safe and protected anytime and anywhere. The built-in magnets make the phone easily accessible while keeping the phone case securely locked. Reveal your phone’s natural beauty while giving the best protection that our phone case can offer. The perfect phone case that will make your smartphone look trendy and safer at the same time. Its ultra-slim magnetic design features zero signal losses or any connection interference on your smartphone. Built from Grade A aluminum, protects your phone from accidental drops, bumps, unwanted marks, and scratches. Combination of aluminum and silicone makes the case flexible giving you easy access to all functions. Protects the phone really well! The phone case really looks good and the quality is excellent. Good buy! Very fast shipping! Great quality! Very nice material and good product. Very fast shipping, excellent product!! Love it! thank you Gadget Cheetah! perfect! very strong magnet and holds the phone securely! very good phone case indeed. Thank you!! Very fast shipping and the Item is in perfect condition. All perfect.